At least 2 years of experience in WPF base framework elements, the layout system, Visual Tree, User Control, data binding, control template, styles and dynamic resources and animations. At least 1 year experience working in Agile and SCRUM setup. 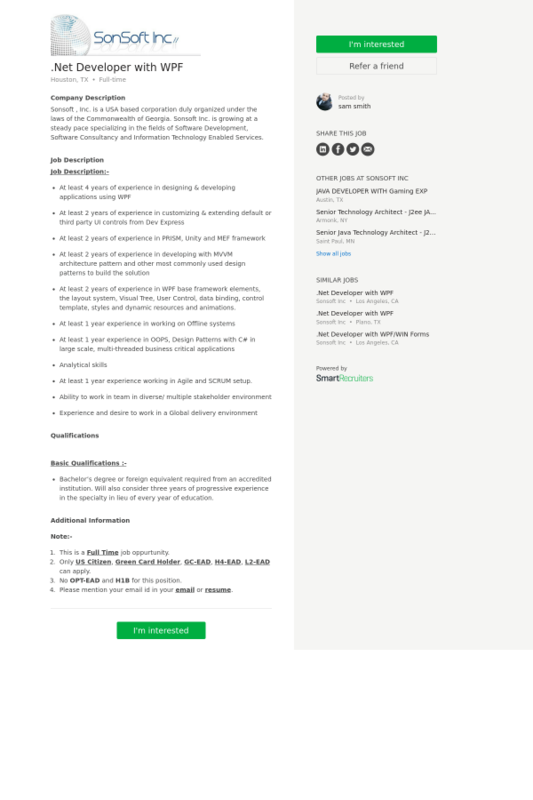 No OPT-EAD and H1B for this position. Please mention your email id in your email or resume.